10 Perfect Popsicles for Spring! We are big popsicle fans around here, I’m pretty sure they are my sons favorite food! Spring is the perfect time to start trying out some new popsicles recipes- perfect for sitting out on the porch or playing the backyard! 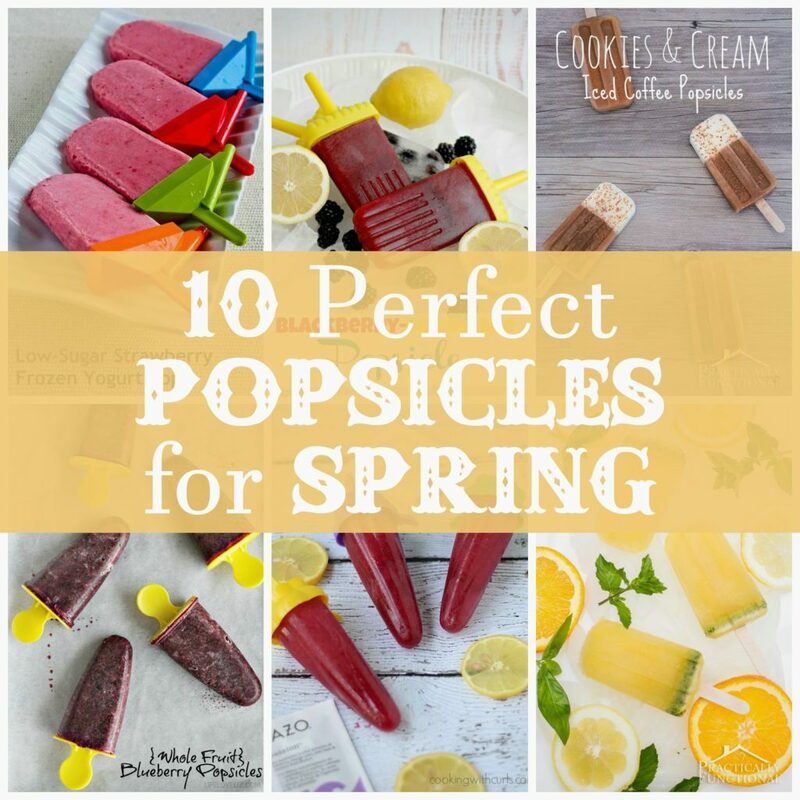 I’ve rounded up 10 awesome popsicle recipes that are perfect for trying out this spring! Which ones do you plan to make? 1. Whole Fruit Blueberry Pops. Fresh blueberry popsicles are sure to be a hit! 2. Basil, Mint, and Citrus Mojitos! Yum! 3. Who doesn’t love Passion Fruit Tea?! 4. Blackberry Lemonade Pops! Lemony fresh with blackberry, these are a great refreshing popsicle! 5. Easy creamy banana, perfect for the little ones! 6. Low sugar, fat free, AND made with real strawberries! 7. Cookies and Cream Iced Coffee Pops! A great dessert recipe! 8. Strawberries and kiwis are sure to get you in the springtime mood! Try these Strawberry Kiwi Spritzer Pops! 9. Rehydrate with watermelon pops! 10. Pure fruit never fails with the kids, try out these pure fruit pops! I can’t wait to try some of these popsicles out this spring! Thanks for this post. What a great idea. They are healthy and easy to make. I will definitely try and few out and let you know what I think. Impressive flavors here, need to really try the Cookies and Cream Iced Coffee Pops! What a treat those would be. Those blackberry lemonade ones sound delicious! My daughter is lemonade obsessed so I'm sure she would love them! I still remember your Grasshopper Pie Pops recipe you've posted some time ago. I think from this list I will definitely try the watermelon pops.